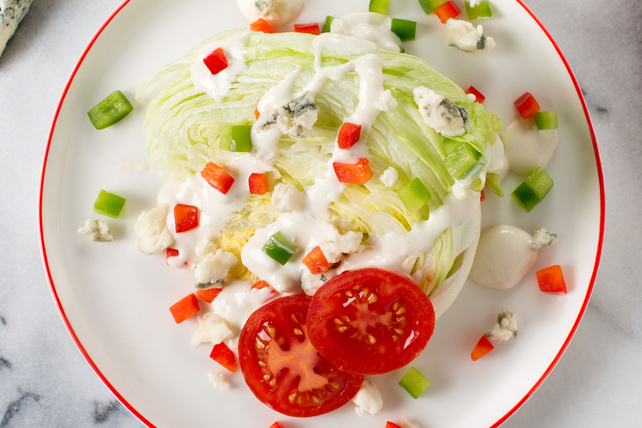 This single-serving classic iceberg wedge salad can easily be doubled or tripled. Place lettuce wedge on serving plate. Serve with crostini or topped with croutons. Refrigerate remaining head of lettuce, then use to prepare additional wedge salads. Or, tear into bite-size pieces and toss with cut-up fresh vegetables and your favourite Renée's Vinaigrette for a quick side salad.